Your children are undoubtedly looking forward to this year’s Halloween celebrations. This is an exciting time of year for families that also comes with potential risks to your child’s safety. Here at Picniic, we want to help you keep your children happy and healthy by providing you with some Halloween safety tips and giving you an additional safety tool through our product. 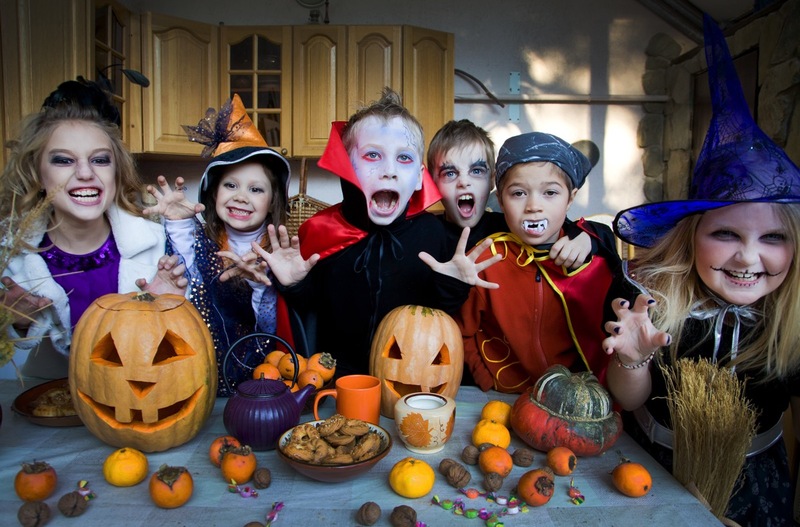 Are you sending your younger kids out trick-or-treating with cousins or friends? Are your older kids heading out on their own to holiday parties? Are you and your spouse splitting car-pool duties for the evening? There are many scenarios that could come up on Trick-or-Treat night in which you need an easy way for family members to check in with each other. Picniic’s Family Locator tool is the perfect solution. With this feature, you can have real-time location updates with your family and set custom geofences to keep your children safe. Go to your device’s Settings Menu and make sure that the Picniic app has access to your device’s GPS location. The Picniic Family Locator uses your device’s location to update the family on where you are at any given time. Now you are ready to use the feature. Instruct your family members that in order to update each other, they will need to open Picniic then tap on the Family Locator tile. Opening the tile automatically updates your position on the map for all your family to see. You can manually update your location again by tapping on the green circle in the bottom right of the map. When you update your location, a push notification is sent to each of your family members’ devices. In addition to general location services, you can set custom geofences for your children. Within the feature settings, define a virtual boundary for your child’s device to the areas where you know they will be such as School, Work, and Home. Also in your settings you can opt to allow Picniic to have access to your location at all times. That way their location will be updated without them having to open the tile. The location is updated in real time and a notification “ping” will be sent to you if the device enters or leaves the specified area. Along with our Family Locator feature, you will find that Picniic is useful for other aspects of your Halloween planning. Utilize the Shopping List and Recipe features to organize your candy and treat-making plans and purchases. Use our Family Event tool to keep each member of your family notified of your party plans. Use the Family News and Family Photos tools to keep family members updated in real time with photos and messages about your Halloween fun. Use all of the features of our app to help make this year’s Halloween your most memorable yet. Above all, we value your family’s safety. In addition to using our app and its Locator tool, here are some more Halloween safety tips that will help to ensure that everyone in your family is having fun. We want your family to enjoy the “treats” of this holiday and not the “tricks”. There are some basic rules that you should review with your children before Trick-or-Treat day to make sure they feel confident in whatever situation they find themselves in. Even if you think your child knows these safety rules, review them again. Children are more likely to apply these rules if they are at the forefront of their minds. Tell your children to call 9-1-1 (or another local emergency number) if there is an emergency or they get lost from their group. Young children should be instructed to stay with a specific parent or responsible adult for the duration of the trick-or-treating event. There should always be at least one adult within earshot of the group, monitoring behavior, and doing frequent head counts. Older children should have clear boundaries set for them in regards to location for trick-or-treating and parties as well as times for check-ins and curfew. Know where your children plan to be! Older children should keep you informed of who will be part of their group or who will be at a party, who is driving them to and from events, and if there will be an adult present with them and who that is. Know who your children are with! Instruct your children to never get into a stranger’s car or go into a stranger’s home for a treat! They should remain with their group and go to houses with porch lights on. They should always collect treats outside. Children should stay with their group especially when crossing the street. Walk on sidewalks at all times if possible. Stay out of the roads and dark alleyways. Be careful crossing driveways. Be aware! Carry cell phones for safety calls, but keep heads up when walking. Keep distractions to a minimum when navigating dark neighborhoods. Walk, don’t run! Children can become very excited about collecting candy and having fun with their friends, but many costumes can be a tripping hazard. Adjust the length or complexity of their costume for safety if you are concerned. See below for more specific tips on costume safety. Elaborate costumes are fun to look at, but can be very unsafe, especially for young children. Keep this Safe Costume checklist in mind as you plan your child’s costume in the coming weeks. Ask these questions when preparing your child’s costume. – brightly colored and/or reflective for visibility in the dark? – include flashlights, glowsticks, or glow jewelry for increased visibility? – short enough not to be a tripping hazard? – include a mask? If so, does it fit properly so as not to obscure my child’s vision? – include make-up? If so, is it non-toxic make-up, and have I tested it on my child’s skin? And, have I carefully removed – all of it before bedtime? – include a hat? If so, does it fit properly so as not to obscure my child’s vision? – include shoes? If so, do they fit properly so as not to he a tripping hazard? – made of fire-resistant materials and have I instructed them to be careful around lit candles and other fire sources? – include props? If so, are they made of soft materials and are they easy to hold or attach to the costume? In general, the simpler costumes are best for navigating dark neighborhoods on trick-or-treat night and the elaborate costumes are best for single location costume parties. But, the best part of Halloween is the candy, right? Here are a few safety tips to keep in mind in regards to all of that Halloween candy. All that candy can put your child at risk for illness and tooth decay. Here are a few tips to help keep your children from getting sick following their trick-or-treating adventure. Feed your children a filling and healthy meal just prior to the trick-or-treat event so they will be less interested in consuming large quantities of candy. Adults should search the candy and throw out unwrapped or suspicious pieces. Don’t eat homemade candy made by a stranger. Consider storing most of the candy and rationing it out over the coming days. Or, use the candy creatively in your baking. Chopped up Halloween candy can be melted over a pan of brownies or a sheet cake as “frosting”. Or, search your area for dentists or other businesses that participate in a Halloween Candy Buy Back program. Exchange all that candy for cash to buy healthier treats or toys. Most programs offer $1 for every pound of candy or another similar amount. From all of us at Picniic, have a Happy Halloween!